The warm weather has finally arrived. And so have the bugs. What kind of bug repellent do you wear? If you’re the type of person who prefers to use products with plant-based ingredients then you may just want to craft your own with essential oils and other simple ingredients. I have enjoyed crafting my own natural bug repellent for me and my family with essential oils for years and with great results. Why choose essential oils over the traditional repellents? Essential oils are volatile chemicals stored in plant structures and are released by the plants to attract pollinators, repel predators, and other purposes. Essential oils are generally extracted from the plant by a distillation process; other forms of extraction include mechanical pressing and chemical solvents. So when you use essential oils, what you’re using to create your bug repellent is the life force of the plant, which is very powerful. Human-made fragrances, on the other hand, are often made from petrochemicals in an attempt to recreate a specific plant’s scent. They include benzene derivatives, aldehydes, and many other known toxins that are harmful carcinogens to us and toxic to our environment. Conventional bug repellents like DEET are insecticides based on chemicals used in warfare, and have been linked to nervous system disorders as well as seizures (EPA). Our skin is the largest organ of our body and absorbs much of what we apply, so using less toxic ingredients seems like the right choice. There are several oils that can be targeted to the bugs that bother us during the summer months. You can experiment with one or a combination of the oils to make the repellent of your choice. I make a few recipes during the summer that I’ll share later in this article. I usually apply one to my skin as my everyday lotion; then I make a spray so that I can spritz my hair and clothes. I love the way it feels to apply these repellents. I am not compelled to run into the shower to wash them off because my skin feels like it’s crawling. Quite the opposite; they feel like the normal lotions I wear during the day and the spritzer feels refreshing and makes my clothes and hair smell good. Here is a chart with the most effective plant oils categorized by the particular bug they repel. A word of caution when using essential oils; they should always be used with a carrier product because of their volatility. Carrier products are other oils such as extra virgin olive oil, sunflower oil, apricot kernel oil, unscented lotions, etc. (Read about carrier oils.) You will notice in the recipes that follow all of the oils are combined with a type of carrier. Some EOs should not be applied to children or to pregnant women. We also recommend seeking out brands who use sustainable harvesting practices. Mountain Rose Herbs has a good selection of essential oils, which we recommend. Did you know that peppermint and thyme essential oils can disrupt the larvae cycle? Depending on where you are and where you’re going, you can craft a bug repellent to match the environment. If you’re combining oils such as lavender (Lavandula angustifolia) and geranium (Pelargonium graveolens) – Use 3 drops of lavender and 2 of geranium. Spritz this on your clothes and hair. Not for use on skin. 5-6 drops of your favorite EO or combination or try the Thieves combination of sage, rosemary, thyme, lavender, and mint. Have fun and begin to select some oils to craft your own repellent. You may even have some of the carrier oils and solutions around the house to use. Don’t forget to label your repellent and store it safely in a cool place and out of the way of children! Read the back of the essential oil bottles for any precautions and check with your doctor before applying to pregnant women or children. Test the oil in a carrier on a small patch of skin and wait 24 hours for any reactions. To learn more about how to use essential oils, join us in our online programs! 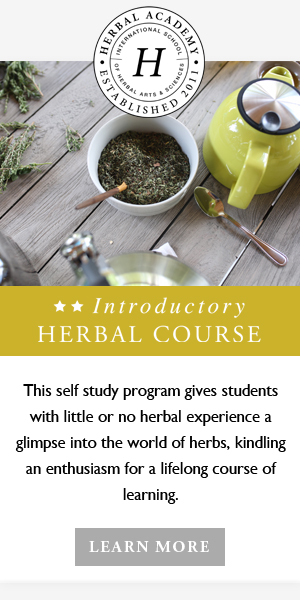 This article was written by Donna Onacki, who has been working with herbs for most of her life and is a Clinical Herbal Apprentice and Certified in Aromatherapy. She has taught many workshops on aromatherapy and enjoys sharing what she knows and has learned with others. Donna is the treasurer for the Herbal Community of Central Massachusetts and is a Financial Recovery Counselor and Coach at Pot of Gold. Worwood, V. A. (1991). Your Basic Travel Kit. The Complete Book of Essential Oils & Aromatherapy. San Rafael, CA: New World Library. “Reregistration Eligibility Decision: DEET” (PDF). U.S. Environmental Protection Agency, Office of Prevention, Pesticides, and Toxic Substances. September 1998. pp. pp39–40. Retrieved 2012-09-08.